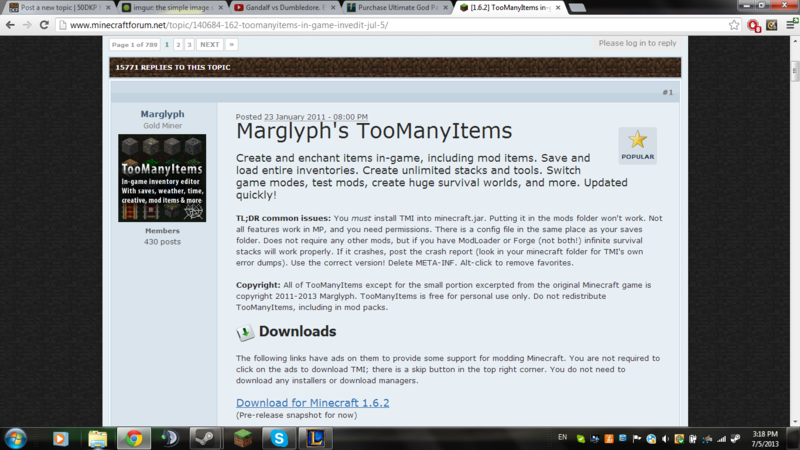 So, after 5 times of trying to install TMI on my minecraft, it wouldn't work. I gathered some information, and this is how you do it. 1. First off, get your mod, making sure it's up to date. Like I said, I got Too Many Items, an in-game inventory editor. I'm assuming mods that use things like ModLoader also work this way. 2. 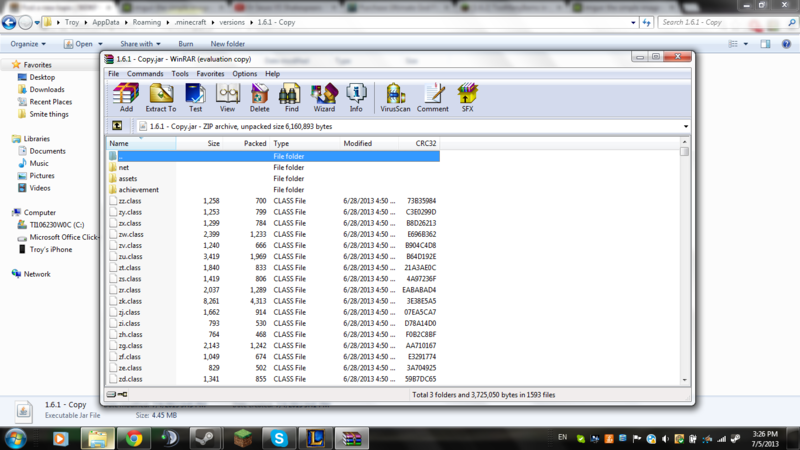 Open up your mod in Winrar, and your minecraft folder. You should see a folder called "versions." Open that. Inside it will be versions of minecraft you have. Go ahead and copy the folder of the one you want to mod (assuming it's the 1.6 folder) and rename it something like TEST. 3. Rename all files to the folder name. 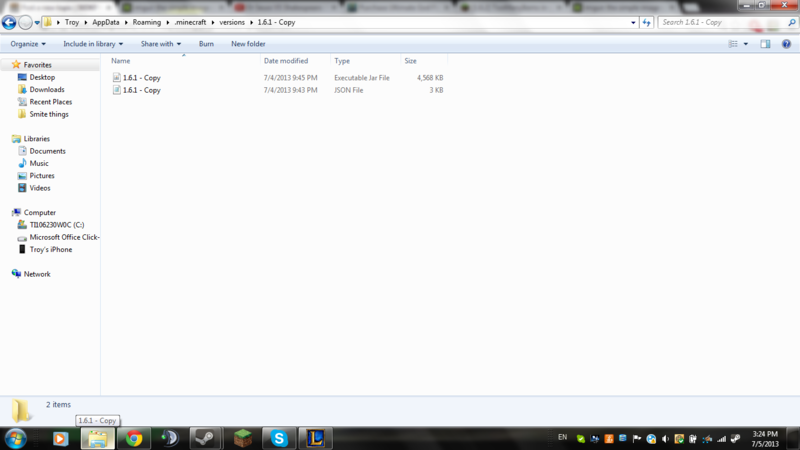 As you can see, I have two files in mine, and they're both named "1.6.1 - Copy" which is the name of the folder they're in. The must be like this. Next, open the JSON file with some sort of text editor. In my case, I chose Notepad. Right at the beginning will be the name of the old folder. You need to rename that to the same name of all the files you've renamed. In my case, you can see I put "1.6.1 - Copy" as it's name. 4. Open up your .jar in your new folder with Winrar. Now we're back to basics. 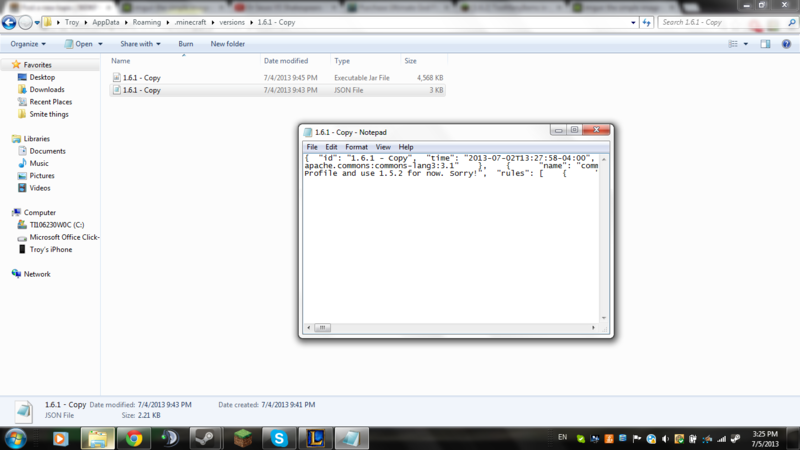 From here on, you delete the META INF folder, and insert the files of your mod in there. If all goes smoothly, you should have your mods. 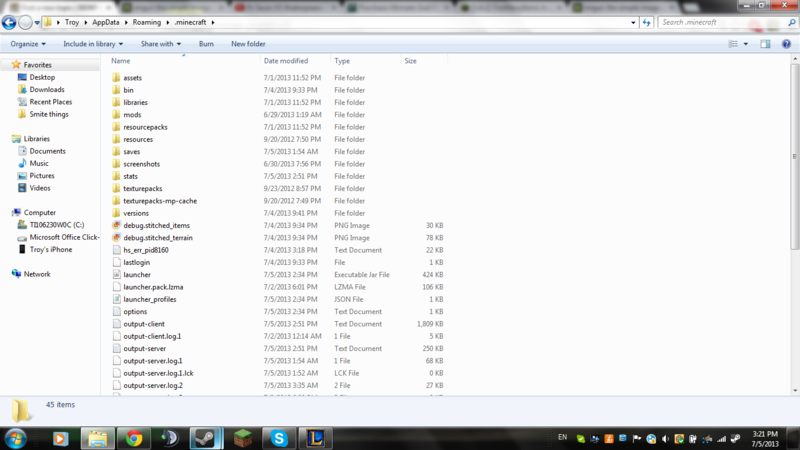 Lastly, in the guides I saw, some of them had it selectable for which folder you wanted to access in the new launcher. That may be the case for you, but not me. If I remember correctly, I think none of the mods have actually updated for the new mod system yet, not sure though.